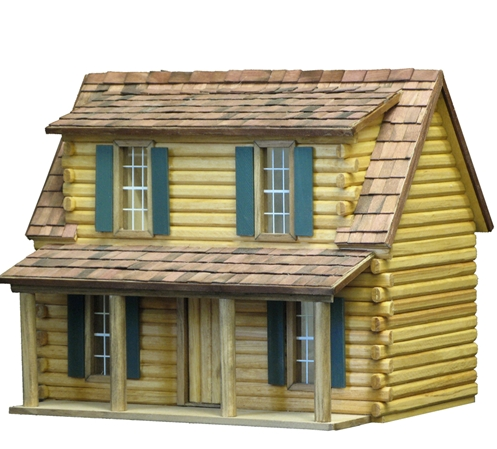 This four room house is a smaller version of the Adirondack one-inch cabin. I made some minor modifications in the cabin which include, a chimney and fireplace, a stone foundation, replacement of the doors, and a partition between the kitchen and sitting area. I always feel the RGT kits should have some type of foundation. It gives the house a greater presence. I still need to add rugs, wall art, and some accessories. The kitchen contains 1940 Tootsietoy furniture that I refinished. The bedspread was a cross-stitched piece. The bathroom also contains antique Tootsietoy furniture that has been refinished.